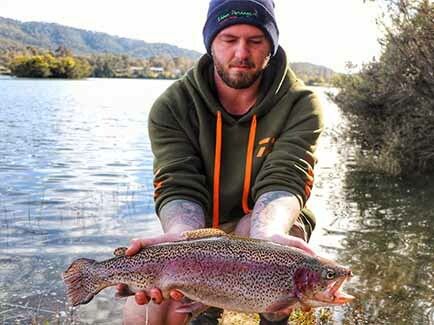 Graeme Findlay made the very best of the start of trout season opening in Victoria by heading up to the very renowned Eildon Pondage in search of trout. Despite the freezing cold conditions eildon pondage didn’t disappoint with Graeme catching 2 magnificent trout up to 5 pound. Graeme is having quite the month catching many quality fish. Well done and keep up the terrific work Graeme.